Once you have an energy assessment survey performed, it becomes clear how important regularly scheduled testing of equipment is to make sure energy and money are not being wasted. The difficult part is finding the time to do this testing. Fortunately, there is a solution to this problem. Warden can provide a constant and instantaneous monitoring system to fit your needs. 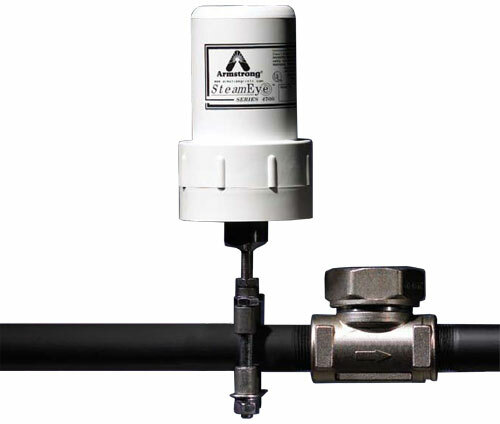 SteamEye is a product Armstrong created to wirelessly monitor the status of steam traps. It is able to monitor all makes and models of steam traps, regardless of the manufacturer. These units can also be used to monitor relief valves to measure energy loss and pressure powered condensate units. 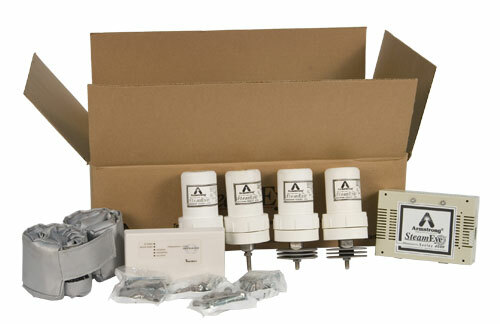 A SteamEye starter kit is a great way to test out benefits of a full system on a select sample of equipment before making the full investment. For more industrial applications, Warden can provide the Armstrong Intelligent Monitoring (AIM) solution. Intrinsically safe with built in repeaters for smart mesh wireless network ability, these units are great for monitoring equipment to make sure they are functioning properly in areas that may be hazardous. Ensuring you’re not losing money due to equipment not functioning properly is of the utmost importance, but manually checking equipment all the time is too costly and inconvenient. Guy L. Warden & Sons has a solution that’s right for you. If you are interested in letting Warden help you continuously monitor your system in real-time, please contact us.